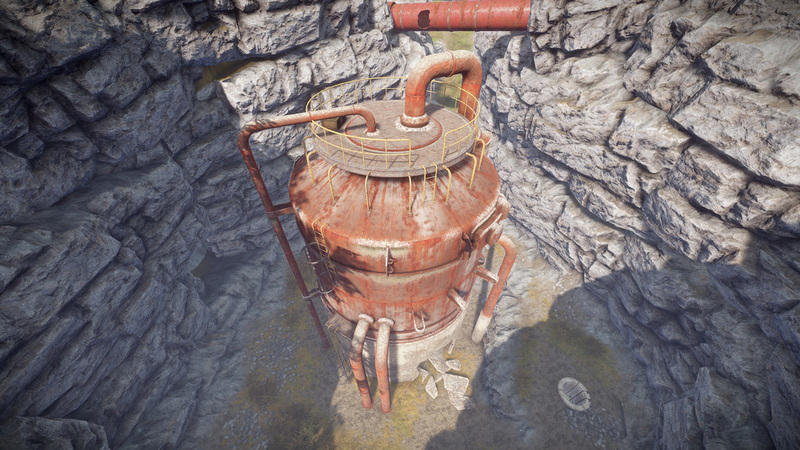 1:54pm EST - We’re on the cusp of a new month for Rust development and the forced wipe is imminent. Going live Thursday, this update will not only clear the map on every server, it’ll also usher in 2 new weapon mods, cheaper prices for other mods, bug fixes, and some improved dungeon art. One of the byproducts of the various improvements and changes to the built in antihack system has been admins getting violations when in admin cheat mode. Andre has fixed this so no admins should get violations. He’s also fixed an issue where admins were taking damage when entering the water in admin cheat mode. Edit note: Since originally posting this, I found a couple visuals. I also realized the pigeon nest and sniper nest (aka water tower) are not the same thing - corrected the above text accordingly.